Nuclear energy has recently seen national policies and public opinion turn in its favor. Governments around the world, including Italy and Sweden, are lifting bans on new plant construction. Not alone in the developing world, India and China are pursuing ambitious expansions of their nuclear power programs. According to a 2010 International Atomic Energy Agency (IAEA) report, 20 countries without nuclear power plants are expected to have nuclear power on line by 2030 (1). Headlines such as “Nuclear’s Great Expectations” (2), “Power up! The rise of the nuclear option” (3) and “Going Nuclear” (4) attest to a paradigmatic shift from looking at nuclear (fission) energy as a 20th century problem towards seeing it as a 21st century solution. In the Netherlands plans to construct two new nuclear power plants are in an advanced stage, seemingly undeterred by the Fukishima events. The last couple of decades have given rise to a powerful coalition of nuclear industry representatives and environmental lobbyists arguing that nuclear is our only path forward if we wish to secure a stable energy future while minimizing greenhouse gas emissions. They point out the shortcomings of renewable energy sources while insisting that once valid safety concerns are overstated or even outdated due to advances in technology. Nuclear energy has the allure of 'the easy way out' to the double bind of climate change and energy-security challenges. The public looks inclined to accept this line of reasoning for lack of a believable alternative. Fukushima is unlikely to change this, all blame having been placed on its older plant technology. Because the discussion on the rights and wrongs of nuclear energy has been held so often, and for so many years, the public is in danger of conceding to the pro-nuclear lobbying simply because they are tired of the debate. That is understandable, nuclear energy holds a vast promise that warrants serious consideration. However, nuclear energy plants bear such fundamental risks that decisions regarding its implementation warrant painstaking investigation, today as much as 30 years ago. If we choose to invest in nuclear power, we should do so with a full understanding of its implications. 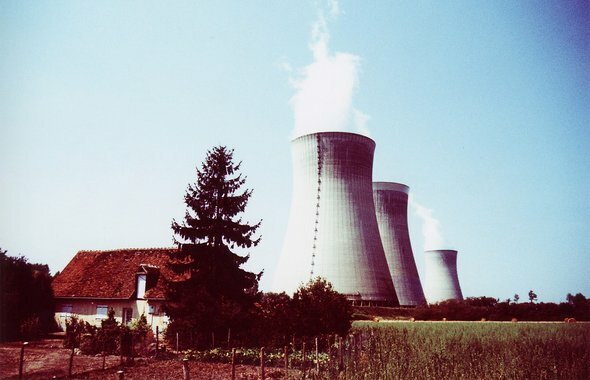 This article sets out five critical points of investigation that are frequently missed or misrepresented, and touches on a long term perspective on nuclear energy and its alternatives. The primary 'environmental' argument for nuclear power hinges on its low greenhouse gas emissions. While it is true that its emissions are lower than from traditional fossil fuels, wind and hydroelectric power still produce vastly less greenhouse gas. Across the entire life cycle of producing nuclear energy, typical LWR and HWR reactors lead to an average of 65 g CO2 per kWh - or, in other words, about 250.000 ton of CO2 per year for 485 MW Borssele. Wind and hydroelectric power cause on average 20 g CO2 per kWh, while coal and oil lead to 600-1200 g per kWh (5). With the very challenging carbon reduction schedules that we have ahead of us, and the life span of nuclear power plants in mind, is nuclear's lower greenhouse gas emissions low enough to mitigate climate change? Some of nuclear power's more serious impacts are found upstream in the fuel life cycle, in the mining and ore refining stages. One of the greatest resource shortages of the coming decades is predicted to be fresh water access. Nuclear power could exacerbate this issue, particularly in vulnerable areas, since almost 60% of uranium is mined in drought sensitive nations - most notably Australia, Kazakhstan, Namibia, and Niger. During the mining process, the extraction and purification of the uranium ore requires enormous amounts of water. Subsequently, during operation, nuclear power plants consume roughly 2.3 to 2.8 liters of water per kWh (6), or approximately 6-12 billion liters per year for a Borssele-sized plant (7), which is 20-83% more than coal-fired plants. The direct impacts of water consumption are augmented by the often overlooked impacts of contamination. Greenpeace reports that water samples collected near a mine in North-eastern Brazil, within what is officially termed the “direct influence area,”, contained uranium levels seven times higher than the WHO-approved levels (8). Despite reports of 'safe storage' by energy companies, there is no generally accepted method for dealing with radioactive waste. Waste-disposal options have been identified even by supporters of nuclear power technologies as a serious stumbling block to sustainability. Nuclear energy leaves behind a radioactive wake at every step of the process, from mining to reactor operation to plant-decommission. The mining process leaves behind radioactive dust – tailings – that contain isotopes with half lives of up to 80,000 years (9). Mining and milling results in thousands of tons of tailings. Although much of this dust is unlikely to cause significant damage to the skin, it is often inhaled, introducing radioactive material into the body. Mining landscapes hence become unusable for countless generations. In most parts of the world, laws are in place that commits companies that mine radioactive material to clean and protect contaminated areas for hundreds of years. Interestingly, mining companies have an unfortunate way of disappearing when the time comes to start cleaning up. Central Asia and Eastern Europe are littered with former Soviet uranium mines. Because the former state-owned mining companies no longer exist, it is impossible to enforce the liability for clean-up (10). The problem is not confined to the former Soviet Union. The United States' largest Native American reservation, the Navajo Nation, has more than 500 open abandoned uranium mines currently being assessed by the U.S. Environmental Protection Agency (some estimates put the total number at over 1,000) (11). The cancer death rate on the reservation — historically much lower than that of the general U.S. population — doubled from the early 1970s to the late 1990s, even while the overall U.S. cancer death rate declined slightly during that same period (12). After mining, milling and enrichment, which produces still more tailings, the story of radioactivity becomes increasingly grim. Reactor operation results in contaminated structural components. A typical 1,000 MW nuclear power plant annually produces about 13 tonnes of medium level radioactive structural material. Additionally, it results in highly radioactive spent fuels – the type that is currently causing much distress in Japan – that must be cooled down, reprocessed and stored somewhere. Finally, plant decommissioning results in about 10,000 tonnes of medium to high level radioactive waste and an additional 10,000 tons of low to medium radioactive waste, that again must be disposed of. The costly long-term commitment to the storage and handling of radioactive waste is coupled with the process of plant construction itself. The cost of a reactor is extremely high, mainly because of measures to improve security. It also, however, is dependent on an unreliable supply chain, since the long pause in nuclear reactor construction has led to a global shortage of sufficiently knowledgeable and experienced engineers. A multi-billion new French reactor currently under construction was recently revised upwards by twenty percent and faces significant delay. Meanwhile, the commissioning of the Finnish Olkiluoto 3 reactor was recently postponed from 2009 to 2013, while its estimated price tag ballooned by fifty percent (13). As Time magazine has so succinctly summarized, “no nuclear plant has ever been completed within budget”. In terms of potential severity and irreversibility of impact, a nuclear disaster outweighs almost any other kind of industrial meltdown. For that reason, insurance companies refuse to take up nuclear power plants as clients. It has been estimated that a Chernobyl or Fukushima type disaster in Germany could cost the country as much as 5 trillion euros, almost twice the GDP (14). Who is to carry that liability? Indeed, it is the state, who thereby heavily subsidizes nuclear energy. While nuclear plants are certainly designed to never let such a disaster occur, history has shown us that the unthinkable does happen in industrial management. Nuclear energy, which is entirely dependent on the mining and use of a particular uranium isotope, is not a renewable source of energy. Estimates vary over how long the world could keep splitting uranium atoms to keep its nuclear plants running. If we choose to invest in nuclear power and significantly increase its output, it is possible that we will fall short of the 200 year depletion projection (15). Without a doubt, however, we will be locked into a vulnerable, centralized energy infrastructure that finds its finite fuel on just a few places on earth and that must be secured through foreign policy, massive investment, long supply chains and intensive technological processing. In short, it will lock us into where we already are. We have spent the last one hundred years living in a bounty of almost infinite energy. The fossil fuel bonanza of coal, oil, and natural gas has allowed our global society to develop at an unprecedented rate, with our population and consumption booming to match. It is impossible to ignore the benefits of concentrated energy. But it is also impossible to ignore the fact that we will eventually need to adjust our patterns of consumption to fit renewable energy fluxes. Right now, we are faced with a choice that will define the next 50 years of energy policy. Do we choose to invest in nuclear energy, or do we want to invest in renewable energy? Nuclear energy, although it emits far less greenhouse gases than coal and gas powered plants, comes with a high price: the fresh water use, radioactive tailings, the potential for catastrophic accidents, its radioactive waste and the permanent need for heavy state subsidies. Also, it needs a centralized, costly, vulnerable and politicized infrastructure. Renewable energy sources, meanwhile, emit similar or even lower levels of greenhouse gas. They hardly use any water, are not radioactive, can typically cause only small scale accidents and will only need state subsidies for as long as coal, gas and nuclear are also still subsidized. More fundamentally, the move to renewable energy represents a choice for a more decentralized energy supply. One that can be harvested anywhere in the world, that supports local autonomy and that creates a more resilient energy supply and, consequently, society. This 'resiliency' is a major a factor of energy security, therefore while some renewable energy sources have variable energy output profiles, their society-level security is higher than any centralized power source, be it gas, coal, fission or even fusion. It is clear that the end of our fossil fuel bonanza poses us difficult questions. How do we want to go forth from here? Investing in nuclear power is a long-term commitment, that will tie up limited resources and bind us to a 50 year long path of action that is risky and costly at best, catastrophic at worst. Is that really what we want? The dearth of public discourse surrounding this major decision is worrisome. Nuclear power is offered as a way to achieve the short term goals governments have set, but it does not offer long term perspective. It seems that, if all things are considered properly, and the true value for society is taken into account, Nuclear power cannot be seen as a way forward. 10 - Simon Webster and Jan Vrijen, The Legacy of Uranium Mining in Central and Eastern Europe. International Symposium on the Uranium Production Cycle and the Environment, (October, 2000), Vienna, Austria. 13 - James Kanter. In Finland, Nuclear Renaissance Runs Into Trouble, The New York Times, May 29, 2009.